This is not just a shopping story. It's a story of hope. Last December, on Boxing Day (26th Dec), I saw this Butterfly Skater High Low Dress in Jane Norman, adored it, but Size 6 wasn't available. I went home and checked online, but nada. I wrote about it here, and was quite upset about it. Since there's no Jane Norman store her in Dundee, I've sort of stopped browsing their website regularly. On the 23rd, a few days ago, Jane Norman posted in Facebook about their new revamped website. I went, instantly clicked on the SALE tab as usual, browsed, and saw this dress, again! Size 6 was available! I couldn't believe it! I added to cart immediately along with another black lace dress that was also on sale. But I removed the lace dress, because it didn't beat my River Island Lace Dress. Umm...nope, no regrets. 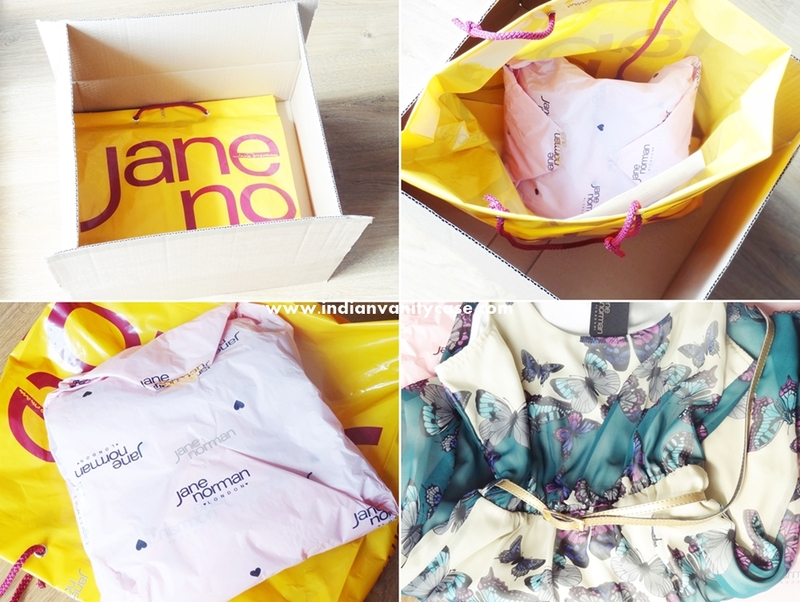 As I waited for the butterfly dress to be delivered, I felt unsure, anxious and paranoid. Maybe it's a technical/website mistake...maybe it's not really a Size 6...maybe it's a defective piece...maybe they mail back and say it's out of stock and they'll refund my money... maybe I only dreamt about my purchase and it didn't really happen, let me go check my email again...maybe... aargh! Seriously, yesterday I actually had a headache and felt a little feverish, and I took a Crocin. It reached me finally, and it's perfect! It's just a little immodestly low, but it can be taken in at the shoulders. Other than that, it fits perfectly, and the high-low ratio is also perfect for my petite frame. .... and I would've pounced, but it was only available in a Size 18. Next day, I checked again (why am I like this??!! ), and that was also gone! I am still kicking myself that I didn't see it sooner! Sigh, it would have looked fab over this dress too, no? Maybe someday.....Okay, I won't jinx it. But ya, if you see a denim jacket egg-jackly like that anywhere, please holler at me! Moral Of This Story: If you want it bad enough, it will come to you. Most times, when you least expect it. If you need more proof, go read my story from 2010- 'The Zara Dress That Waited For Me' here. i saw a similar JAcket in ASOS. 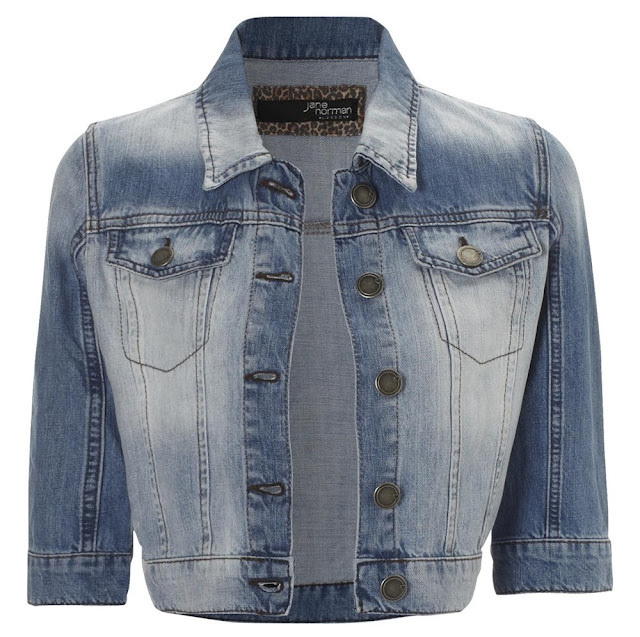 I got a full proper denim jacket recently from them - at that time they had a cropped one too! Love that jacket. I also used to shop at Jane Norman regularly and sometimes had to force myself to walk by as I knew I would end up buying something. Obviously not such a problem now as the Scottish branches have closed but I did consider buying from their online shop as have done before.